This talk is part of the Oxford Women’s International Festival. 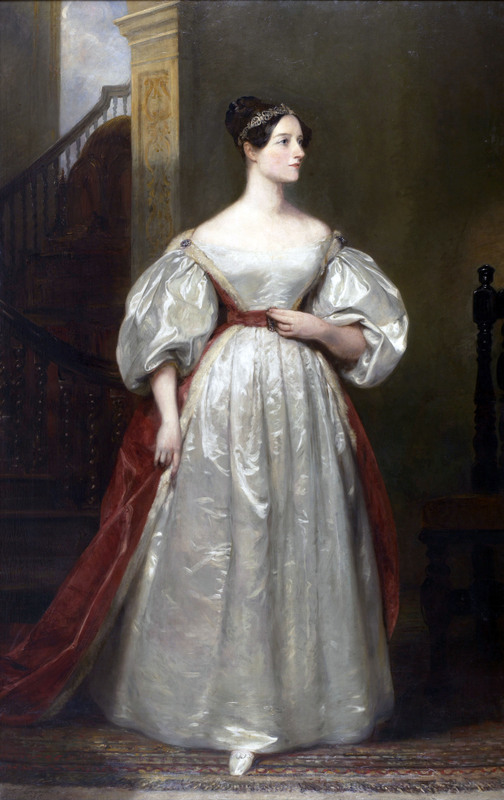 In the 200 years since Ada Lovelace’s birth, she has been celebrated, neglected, and taken up as a symbol for any number of causes and ideas. A symposium to mark the 200th anniversary of her birth narrated many of these, including accounts of her generative relationship with Charles Babbage and his Difference and Analytical Engines. This talk traces some of paths the idea of Lovelace and her imagination of Charles Babbage’s Analytical Engine has taken, what basis they have in her life, and what they tell us about the devices and desires of their scholarship and society. It includes an account of our experimental humanities work in response to both Lovelace and the operatic Ada sketches of composer Emily Howard: we created a web application, Numbers into Notes, (an earlier version of which was described by David De Roure in a previous Research Uncovered talk) to produce music from maths through programming a digital simulation of the Analytical Engine, after Lovelace’s idea that “the engine might compose elaborate and scientific pieces of music of any degree of complexity or extent”. Following the talk, we are delighted that David De Roure will demonstrate and explain the making of the tools we used for this work. There will be a short break between the two sessions. What would have happened if Charles Babbage had built the analytical engine, and Ada Lovelace had programmed it to generate music? Our “making” experiments have involved a variety of techniques, from a software simulator, a web app and the use of a computer algebra system, to construction of arduino micro controller hardware, agent based simulation and scripting for modern professional audio tools. This talk will demonstrate some of these tools, and invite attendees to engage with us in taking the experiment forward. This collaborative research was supported through the following EPSRC project: Fusing Semantic and Audio Technologies for Intelligent Music Production and Consumption (EP/L019981/1). This talk was first given as a Digital Scholarship Seminar at the Moore Institute, NUI Galway. Pip Willcox is the Head of the Centre for Digital Scholarship at the Bodleian Libraries, University of Oxford, and a Senior Research at the Oxford e-Research Centre. She co-directs the Digital Humanities at Oxford Summer School and convenes its introductory workshop strand. With a background in textual editing and book history, her current work investigates narrative and the intersection between the material and the digital, exploring the experimental humanities. David De Roure is Professor of e-Research and Director of the Oxford e-Research Centre. He has strategic responsibility for Digital Humanities at Oxford and directed the national Digital Social Research programme for ESRC, for whom he is now a strategic adviser. His personal research is in Computational Musicology, Web Science, and Internet of Things. He is a frequent speaker and writer on digital scholarship and the future of scholarly communications.